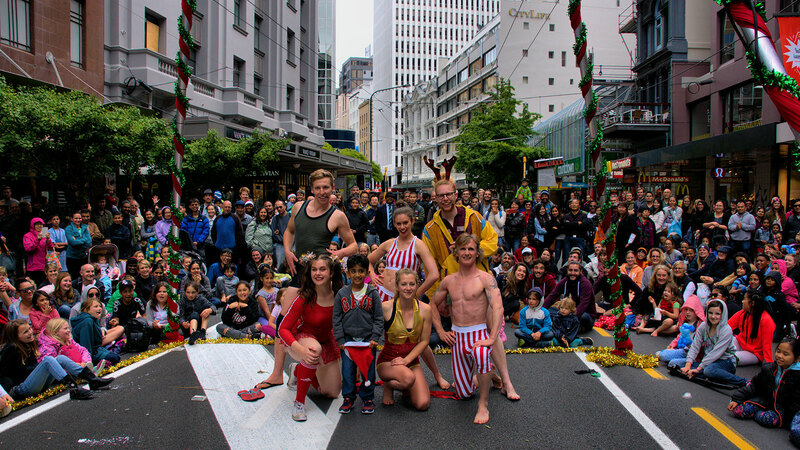 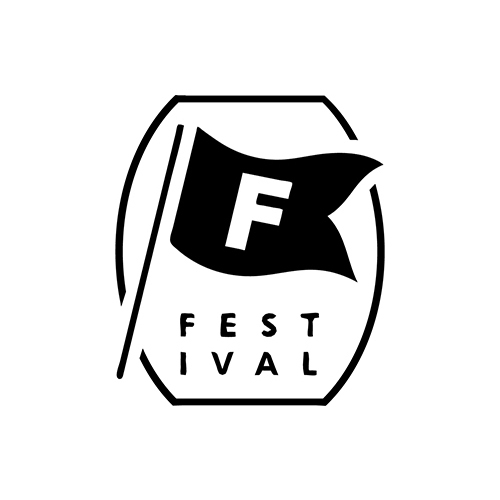 In 2016 and 2017 we have been involved in Wellingtons ‘Very Welly Christmas’ Festival which runs the length of Lambton Quay. 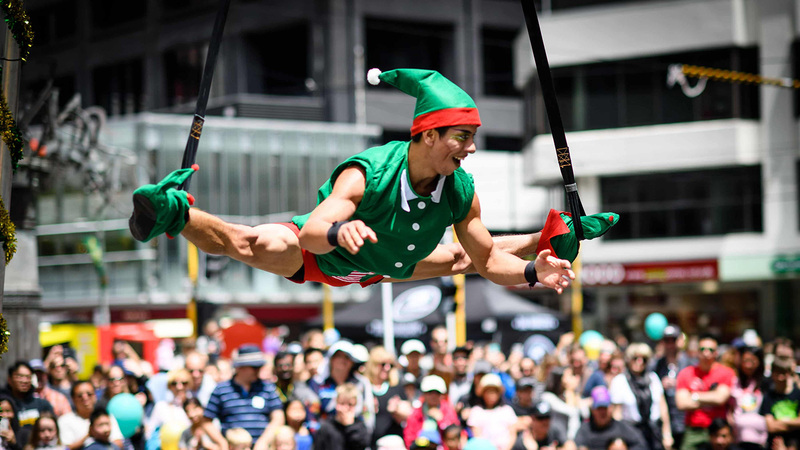 We created a full blown christmas cabaret show. 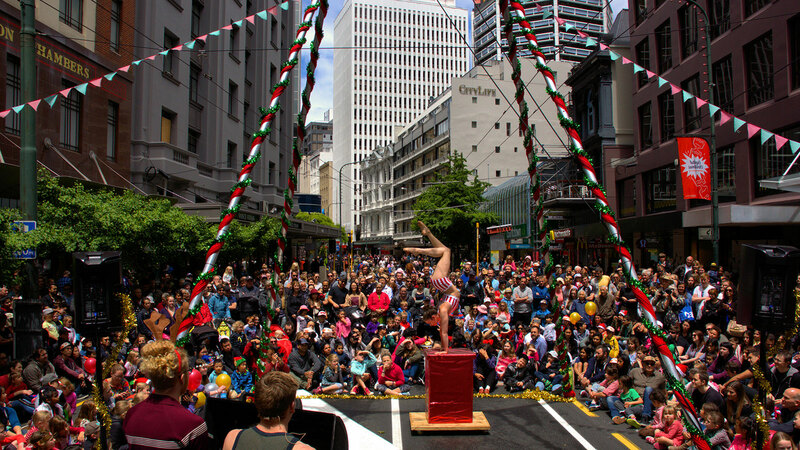 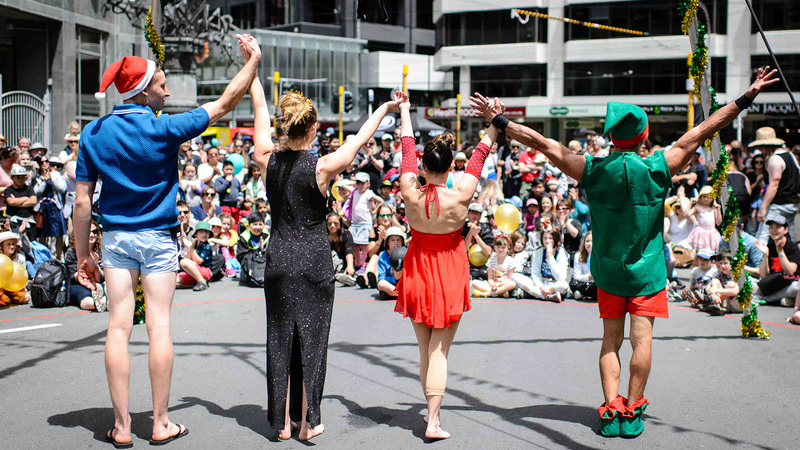 Our stage acted as a grand entrance to the event and our Roving, Performance and Aerial Installations livened up the street over two full days.